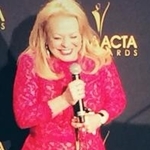 Actress Jacki Weaver (pictured) has been applauded for a career spanning over 50 years at last night’s 3rd annual AACTA Awards (formerly the AFI Awards). 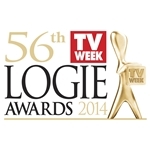 Weaver received the Raymond Longford Award for lifetime achievement at the presentation held at The Star, Sydney. The accolade comes just days after she was made an Officer of the Order of Australia (AO) in the Australia Day Honour’s List. Weaver’s career dates back to 1963, with early TV credits including Wandjina! 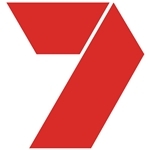 and The Schoolmistress and appearances in TV series Riptide, Woobinda Animal Doctor, The Godfathers, Catwalk, Spyforce, Division 4, Matlock Police, The Last Of The Australians, Rush, Homicide, Alvin Purple, Trial By Marriage, Water Under The Bridge, Tickled Pink, House Rules and Satisfaction. Movie credits include Stork, Petersen, Picnic At Hanging Rock, Caddie, Squizzy Taylor, Cosi and Three Blind Mice. Since being nominated for an Academy Award in 2011, Weaver has been in demand in the US with roles in feature films including The Five Year Engagement, The Silver Linings Playbook and Stoker. She has recently appeared in US TV series Super Fun Night, The McCarthys and the upcoming mini-series Gracepoint (the US adaptation of the UK series Broadchurch). 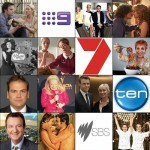 The 3rd annual AACTA Awards were on a delayed broadcast on Network Ten, though AACTA themselves were tweeting the names of award winners hours before the telecast was due to begin.